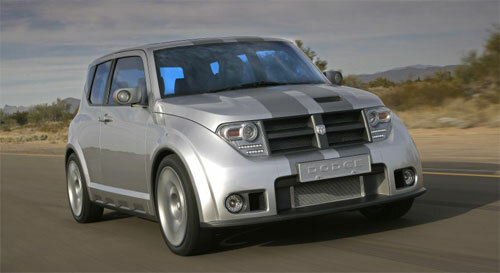 The Dodge Hornet Concept is a 5-door hatchback slightly larger than a MINI Cooper. 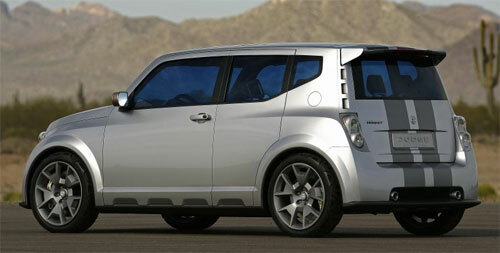 It made it’s world debut back in February 2006 at the 2006 Geneva Motor Show. 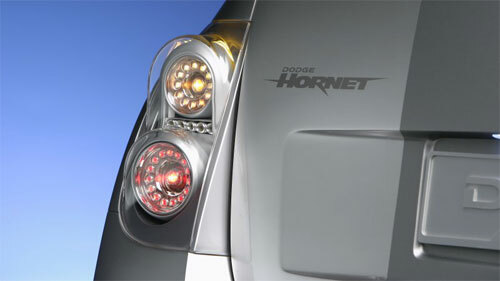 The Dodge Hornet Concept was conceived after meeting were held regarding requests from U.S. Dealers for a true entry level Dodge vehicle below the Dodge Caliber which retailed for about USD13,000. The Dodge Hornet is a small B-segment car, but Dodge went for a sporty rally-inspired look instead of a cutesy look like the Nissan March. 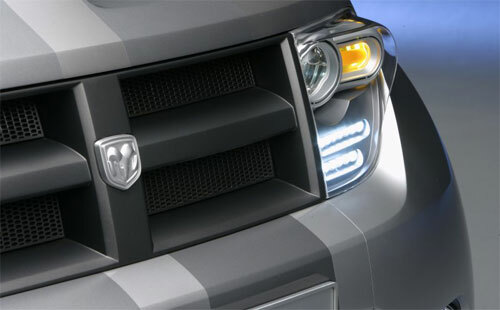 The front has Dodge’s classic cross-bar grille, and below it is an exposed front-mounted intercooler. Wheels are 19 inch open section wheels wrapped with 185/50/R19 tyres designed to show off the mechanicals, the large disc brakes and calipers. Showing off intercoolers and brakes are typical design features to make the car look like it can really really go fast. 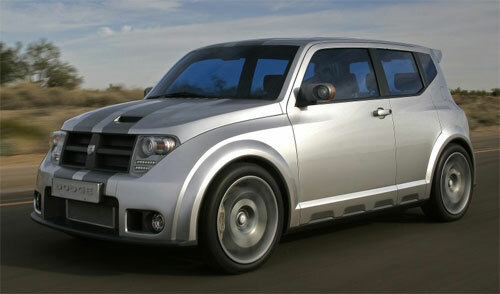 It reminds me alot of the Scion xB, a small car marketed under Toyota’s marque targetted at the younger car-buying market. The engine propelling the 1409kg Dodge Hornet is a Tritec 1.6 litre intercooled supercharged 16-valve SOHC engine which makes 170 horsepower and 223Nm of torque at 4000rpm. This engine is the same one found in the MINI Cooper S, some Dodge Neon models and some Chrysler PT Cruiser models. This engine is mated to a 6-speed manual transmission. The Tritec engine was originally developed by Chrysler and Rover, and is made in the Campo Largo factory in Brazil jointly owned by BMW and Daimler Chrysler, which was recently bought by the Lifan Group. Performance statistics are 6.7 seconds for the 0-100km/h test and a top speed of 209km/h. 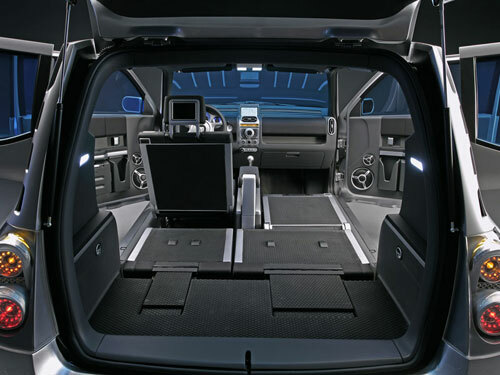 Cabin access is made easy using suicide rear doors which open backwards. The hood scoop is functional, it directs air to the engine airbox, basically a cold air intake device. 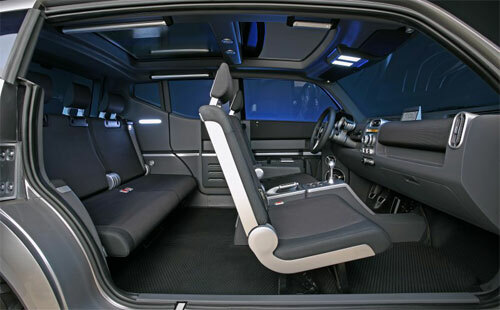 The rear seats and even the passanger seat can be folded down to extend storage area, creating a sort of mini van-like storage space as seen in the photo below. There were some rumours that the Dodge Hornet Concept could go into production using a Volkswagen Polo chassis, since there has been increased co-operation between DaimlerChrysler and Volkswagen AG. Chrysler’s been in talks with Chery, a Chinese automotive company which specialised in building small cars, and the Dodge Hornet could be what they will be building.